We’ve heard a lot of questions about careers and futures. 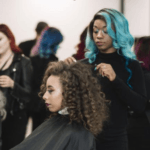 We are a barbering and beauty school after all, and many people want to know what possibilities await them after they’ve completed their education. 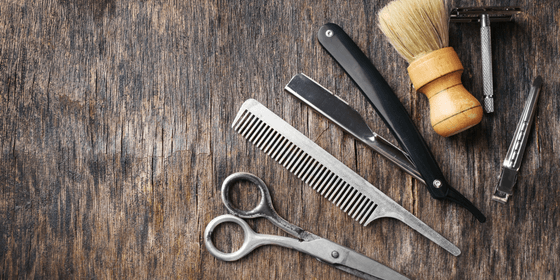 So why should you consider a career in barbering? Here are 5 reasons. Are you looking for a job that allows you to work with your hands, creating something unique? Well barbering might just fill that need. Barbering can allow you to craft masterpieces on a one-of-a-kind canvas: hair! Clippers, shears, razors, and more! There’s no telling what you will create. What’s more is that you can mold and shape a new piece of art on each client, which means you can do what you love all day! Did you thrive in a traditional educational setting? No? Then barbering might be the perfect fit. We don’t believe in sitting in boring classrooms and being lectured by instructors who drone on and on for what feels like forever. We believe that learning the theory and the science behind barbering can be FUN and engaging. Our educational team is exciting and ready to make your experience unique and knowledgeable. Learning theory isn’t the only entertaining part of becoming a barber, practical experience is fun too! You can hone your skills on a mannequin first and then eventually make your way to our student salon where you can practice on REAL clients. How else are you supposed to learn how to thrive in a barbershop? 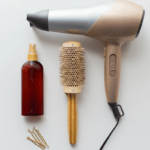 The Bureau of Labor and Statistics reports that the job outlook for Barbers, Hairstylists, and Cosmetologists is growing at a rate of 10% (which is faster than the average) from the years 2016-26. The opportunities could be plentiful for a well-rounded, hardworking, and passionate barber. Over the past few years, men’s grooming and styling has been more and more refined and popularized. 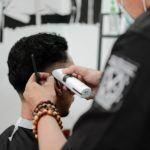 The more dudes jump on this trendy bandwagon, the more in demand barbers will grow as the professionals who can take their look to the next level. When you cut or style someone’s hair or facial hair, you literally change them. Their outward appearance is manipulated, and that’s a big deal. With that much power comes great responsibility, and many people thrive knowing that they can make a difference in someone’s self-confidence. You can also make lifelong friends who feel more like family. You will probably see your clients a few times a month, or every few months, and each time they will spend a good chunk of time in your chair. A job doing what you love with people you like? Barbering could be your dream job. 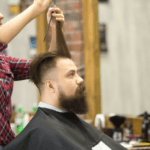 Is a career in barbering sounding better and better? It all starts with your education. 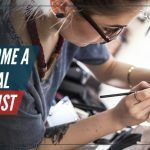 Contact American Beauty College to find out how you can get started in our 11 month barbering program.